Listening to music is one of the most enjoyable things you can do with your sense of hearing — but what if you could enjoy it with more than just your ears? What if you could invite your other senses to the party to experience music in not only auditory form, but visual and tactile form as well? Well, believe it or not, there’s a new startup out there that has just developed a unique new way to turn sound waves into tangible, interactive, 3D-printed objects, and it’s absolutely mind-bending. The designers and engineers at NYC-based startup Reify have created a way to give people the opportunity to not only hear music, but also see and feel it at the same time — effectively making it a cross-sensory experience. By first 3D-printing a unique totem specific to an artist’s song, Reify then encodes these objects with the original music and a series of intense visuals. 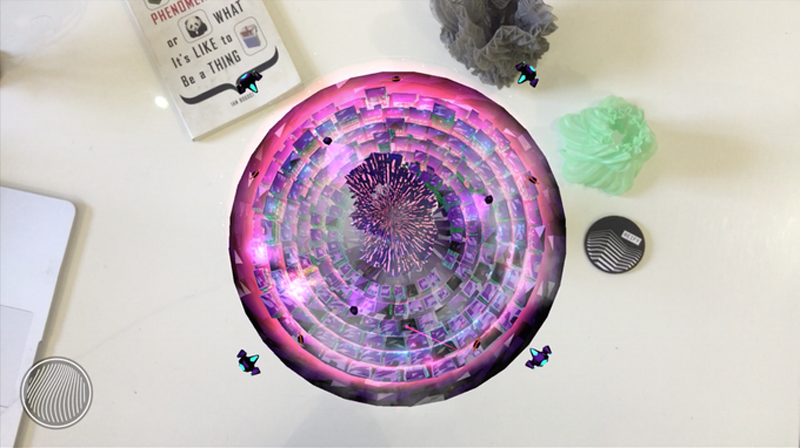 With the help of a mobile app called Stylus, these totems transform before a user’s eyes, taking them on an augmented reality journey like nothing else. As the song plays through Stylus, users have the ability to move the screen around to see all sides of the transforming sculpture as it bends, builds, and pulsates in time with the audio. For the better part of the last year, the group behind Reify — led by CEO Allison Wood and CTO Kei Gowdo — tirelessly worked towards perfecting its platform, designing and manufacturing hundreds of unique sound sculptures for all kinds of music genres. This trial and error allowed Reify to settle on a design process which gives the 3D-printed objects a truly unique look and feel. Reify even goes so far as to say each finished totem is a “beautiful stand-alone art project” in itself. During its research and development phase, Reify reached out to a host of musicians and bands to give them the opportunity to describe their sound first-hand. Wood and Gowdo were then able to craft a totem specific to a band’s sound, giving each sculpture rigid edges or peaks and valleys based on their descriptions. The finished product is a direct reflection of the artist’s creative vision, giving fans a unique new medium for connecting with them. To help bring this experience to music lovers across the globe, Reify recently launched a Kickstarter campaign with hope of raising $150k to fully fund the project. At time of writing —and just two days into the campaign —the project already garnered 58 total backers, and raised just over $5K. While this is obviously a far cry from its desired goal, the campaign figures to pick up a full head of steam once word on this amazing project gets out. Just take a look at the demo video for yourself and you’ll see why; it’s thoroughly mind-blowing.